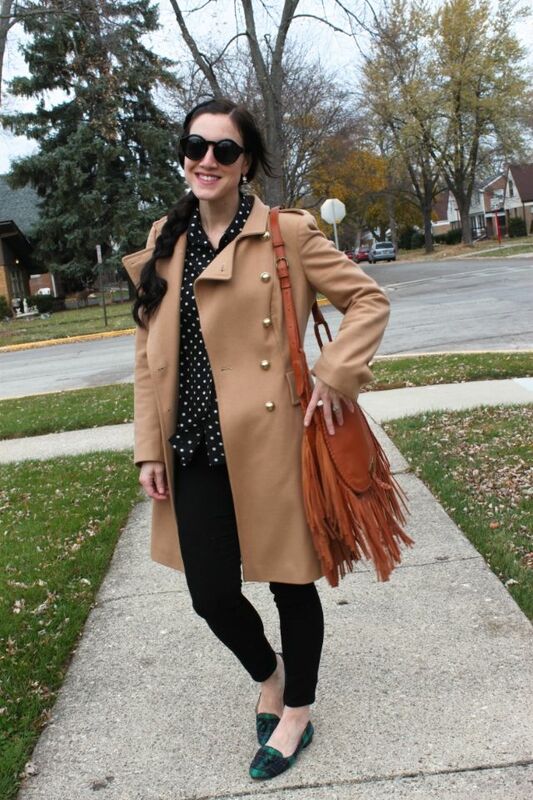 Polka Dots & Plaid, A Pair I Can't Stop Repeating! I find myself obsessing over pairing plaid and polka dots lately. I wore this outfit and ever since I just can't stop pairing the two. I mean, it's pattern mixing perfection, no? 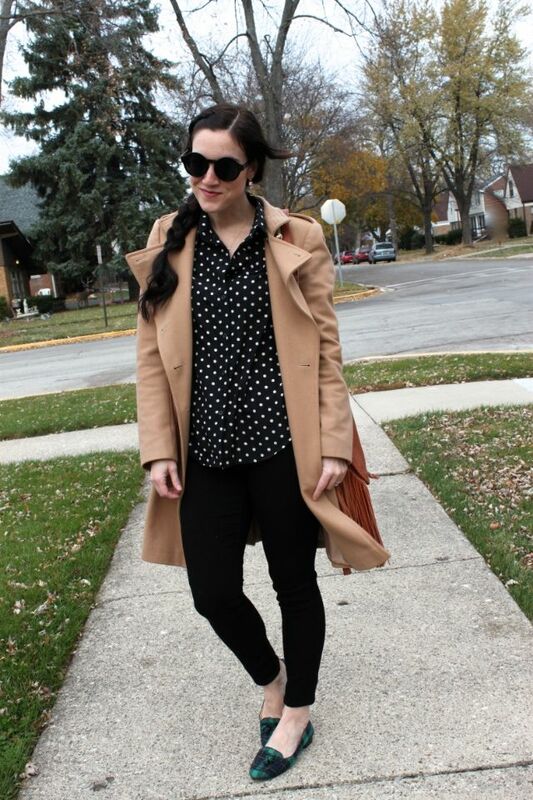 I tossed on my favorite polka dot blouse and a pair of crop black skinny jeans. I immediately went for my plaid shoes and finished the look off with a classic wool trench coat, great sunnies, and some earrings. What do you think of this pairing? 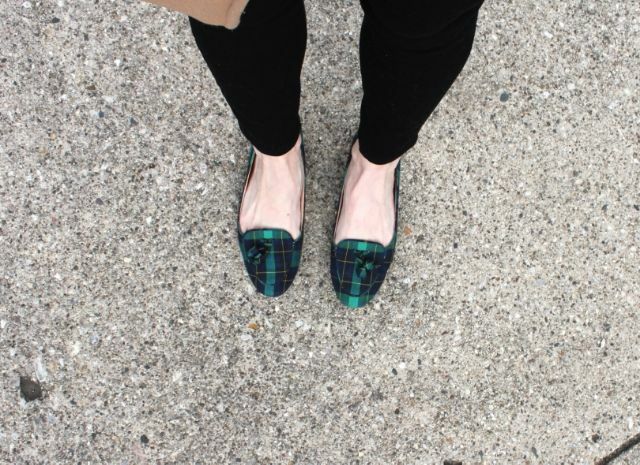 Are you mad for plaid this season and looking for something to pair it with? 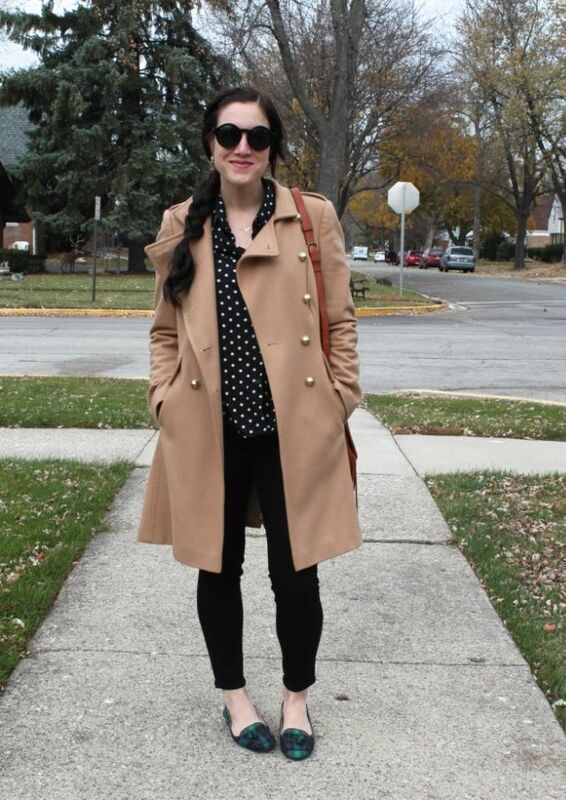 I say try polka dots!